Busby Junk Removal after spending four years servicing the Seattle area with junk removal has recently changed office locations and has moved to Bellevue. If you are a Busby affiliate and need our new office address please give us a call at 1-877-404-5865. 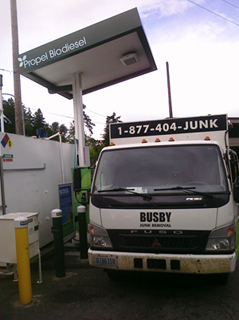 In 2005 Busby Junk Removal began operation from the Issaquah Plateau in Western Washington. Busby is a locally owned and operated company from the Northwest. Recently Busby moved headquarters to Bellevue in an effort to be closer to the majority of our customers. A vast majority of business comes from the Seattle area. We will travel greater distances in special circumstances, for more information view our service area. Busby will pick up junk from anywhere on your property, haul the material, and recycle or dispose of your unwanted goods. We are capable of many removal projects with a main focus on junk pick up, disposal and recycling. 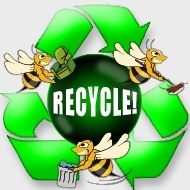 If you would like to know more about what we will pick up please visit our page of completed junk removal projects. Busby junk removal cares about the carbon foot print that we leave behind. We do whatever we can to recycle and reuse the junk that we pick up. In an effort to be "eco-friendly" we also use Biodiesel as much as possible.